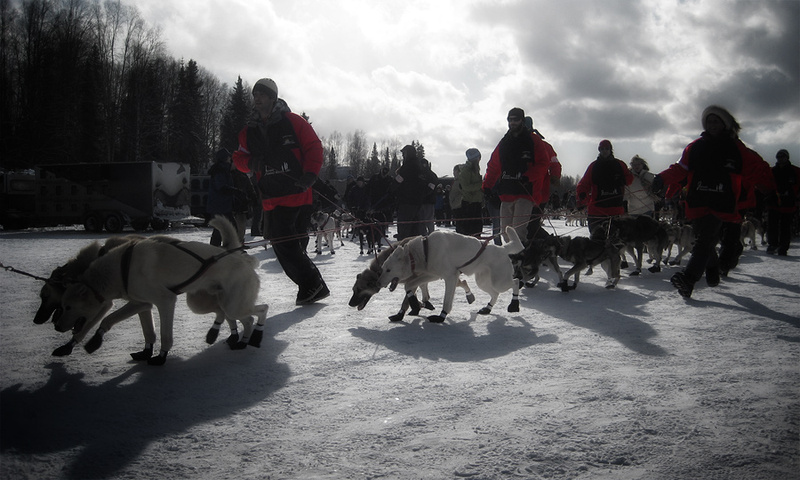 A dog team being led out to the start chute at the Iditarod start in Willow, Alaska. Must be excited to be there. Feels real cold. Enjoy!! Did you feel the presence of Balto?! 🙂 Beautiful capture. This is really excellent – such gorgeous light you've captured, as well as the anticipation of the sled dogs. Well done.